The first language used by Matters was Soundpainting, the mulditisciplinary live composing sign language created by Walter Thompson (US) since the mid-seventies. It has brought to the world of performance a very rich approach to multidisciplinary composing. It is now well known and used by thousands of people around the world, thanks to a huge effort of education, done by Walter Thompson himself and a lot of soundpainters. 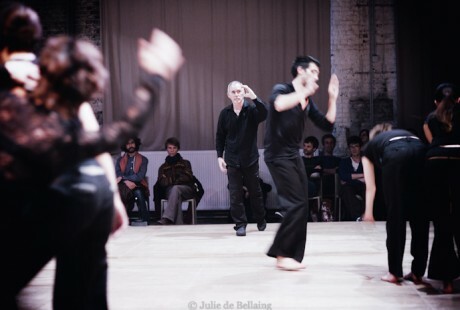 Matters’s artistic director, Augustin de Bellefroid, is certified for teaching multidisciplinary Soundpainting.